I am also taking referrals for Child Parent Psychotherapy (CPP) sessions and TF-CBT sessions as well. BC/BS of NE; First Comp; Medicaid; NE DHHS; United Behavioral Health; United Health Care; Nebraska Total Care; Coventry Healthcare of NE; Medica; Midlands Choice, Aetna, Tricare and NE State Probation Vouchers for Mental Health and Substance Abuse both Adults and Youth. Comp Psych and EAP provider Payment methods: check, cash, major credit cards. Please contact me with insurance coverage questions. Excellent Site for Suicide Survivors!! The Rehabilitation of Youth in Conflict with the Law, Equine Assisted Therapy Program ran from 2008 to 2011. The program, which focused on youths aged 13 to 17 who used illicit drugs, was delivered by the Partners in Process Equine Learning Centre in Owen Sound, Ontario. As a non-custodial measure to help rehabilitate and reintegrate young offenders into mainstream society, the program supported the goals of the Youth Justice Fund. Participants worked with horses inside an arena during a progressive series of up to 12 one-hour sessions. The sessions were designed to help participants improve their communication, relationship and problem-solving skills. In the process, they learned to address the underlying factors that lead to substance abuse. A total of 75 youths participated in the program. Although the program included 12 sessions, most youths referred by the Crown attorney completed only three to five sessions. None of the participants had reoffended at the time of the evaluation. The program also included peer monitoring and support. Several graduates became champions for the program: some described their experiences to school groups, while others attended sessions as mentors. Other graduates have helped with fundraising. Project evaluationCliff Bilyea, M.B.A., completed a process-and-impact evaluation of the program. A past president of the Kitchener-Waterloo United Way, Mr. Bilyea is a management consultant and the current chair of Community Foundation Grey Bruce. He has also served on the boards of local hospitals and the Community Care Access Centre. The evaluation process involved site visits and discussions with participants, the program director, operations manager, local Crown attorney, program coordinator for victim services, and members of the Partners in Process board of directors. Key findingsMany participants said that the neutral environment contributed to the success of the program — that it did not feel like they were in a therapy session or listening to another lecture. As a result, many felt comfortable discussing their problems with the Program Director and started to take responsibility for their actions. During the initial sessions, participants learned that horses often respond directly to body language. As a result, participants began to understand the impact of non-verbal communication. Learning to control the horses helped the participants build their self-esteem. an increased ability to set, and work towards, personal goals and make better lifestyle choices. Lessons learnedA lack of transportation prevented many participants from attending sessions. Ontario’s Grey-Bruce region is large, and the city of Owen Sound has the region’s only public transportation system. The program attracted few referrals during its first year. Once word began to spread among social-service, police and court agencies, referrals increased significantly. Involving parents and caregivers in the latter phase of the program would increase overall effectiveness. The mentoring and peer-support aspect of the program encouraged graduates to continue to build their self-confidence and decision-making skills. ConclusionThe Equine Assisted Therapy program succeeded in helping participants address their substance abuse problems. Can You Benefit from EMDR Therapy?By Francine Shapiro, Ph.D.
Those suffering from major traumas such as sexual or physical assault, combat experiences, accidents or the sudden death of a loved one can be diagnosed with post-traumatic stress disorder (PTSD) if certain symptoms exist. These include intrusive thoughts of the event; nightmares or flashbacks; avoidance of reminders of the incident and increased arousal, which can include problems such as sleep difficulties; angry outbursts; being easily startled or having difficulty concentrating. Research has also indicated that medically unexplained physical symptoms, including fatigue, gastrointestinal problems and pain can also go along with this disorder. Anyone suffering from PTSD can benefit from EMDR therapy. 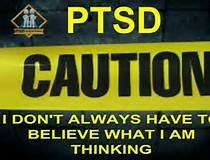 In order to be officially diagnosed with PTSD it is necessary to have experienced a major trauma. However, recent research has also revealed that other, less dramatic life experiences can cause even more symptoms of PTSD than major traumas. Many of these disturbing life experiences take place throughout childhood and can include hurtful experiences with parents or peers. The negative impact on the person’s sense of self takes place since, just as with diagnosed PTSD, “unprocessed memories” are running the show. This happens because the experience was so disturbing that it disrupted the information processing system of the brain. One of the functions of this system is to take disturbing experiences to mental adaptation. So if something happens to us that is disturbing, the processing system “digests” the experience and the appropriate connections are made, while the reactions that are no longer useful — such as the negative self-talk, emotions and physical sensations — are let go. However, if an experience is too disturbing, it disrupts the system, causing the memory to be stored with the negative emotions, physical sensations and beliefs. Current experiences must link with the memory networks in our brain to be interpreted. If there is an unprocessed memory, the negative emotions and sensations can emerge and color our perception of this current situation. In short, the past is present. That’s where EMDR therapy can help. While EMDR cannot remove a problem caused by genetics or organic injury, the research indicates that even in these cases negative life experiences can exacerbate problems. When a person is held back from doing things he or she would like to do by feelings of insecurity, anxiety, fear, or unremitting sadness, or is pushed into doing things that are not useful — such as overreacting to people or situations — the reason can generally be found in the memory networks. Many times the problems are unprocessed memories from the past that are poisoning the present. In my new book, Getting Past Your Past: Take Control of Your Life with Self-Help Techniques from EMDR Therapy, I provide numerous procedures that will allow the reader to identify the earlier memories that are at the root of their problems, and ways to change their emotions, physical sensations and negative thoughts. There are also techniques to help achieve desired goals in work and social relationships. These self-control techniques can make life more manageable, and understanding why we are doing things that don’t serve us can often help to bring things into perspective. But if the techniques aren’t sufficient to give you a good feeling about your life, or you feel better for awhile but the old feelings continue to come back, then it would be useful to read the stories in the book that illustrate why different kinds of problems emerge, and decide if EMDR therapy would be a good choice for you. Part of that evaluation involves taking stock of both your personal and professional relationships. Do you feel happy and fulfilled? 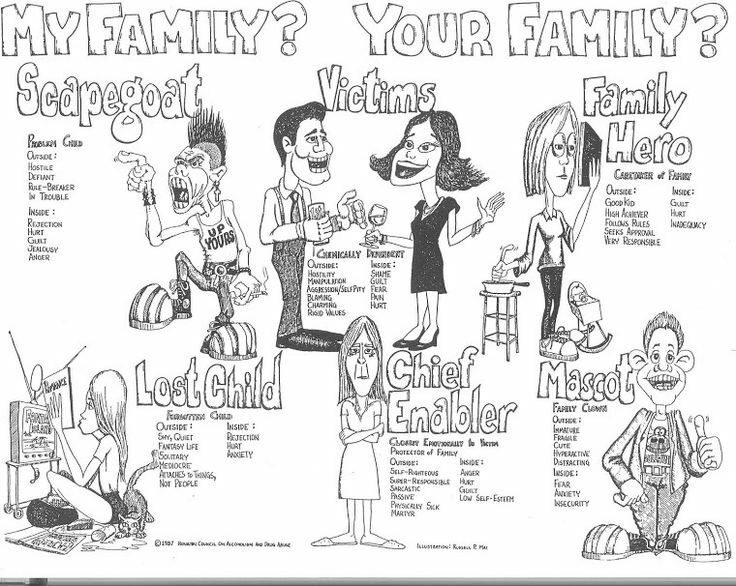 Do you have a good support system? Or do you feel frustrated and troubled by disturbing thoughts and emotions? Generally, there are three categories of negative feelings and beliefs that can emerge. These are the feelings of not being good enough, not being safe, or not being in control. If we often feel insecure, fearful or anxious — or notice that these feelings arise intensely in certain situations — we have the tendency to blame ourselves. Friends aren’t able to reassure us no matter how hard they try, because the problem is generally caused by the unprocessed memories associated with the negative emotions, physical sensations and beliefs. When certain things happen in the present — even minor ones, like the expression on someone’s face — the memories can get triggered and the emotions, beliefs and accompanying sensations (like a tightness in stomach or chest) surface. We don’t get an image that goes along with it, so we don’t realize it’s really the “old stuff.” Then, since our distress can debilitate us, we may have problems interacting with people in the present, causing new memories of “failures” to be stored and thus increase the problem. That’s how depressions can also increase: our new negative experiences just dig the hole more deeply. So, the bottom line is that we deserve to have happiness and fulfilling relationships. Problems involving negative thoughts and emotions are generally the result of negative past experiences that are improperly stored in our brains. 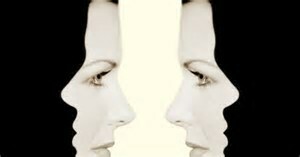 The negative feelings may appear to be true to us, but they are actually the result of physiologically stored memories. This makes it not a “mental problem,” but rather a physical problem that can be remedied. If you break your leg, you would not just hobble along. You’d have no question about going to a doctor to align your bones properly so that healing can take place. Likewise, if you go to an EMDR therapist for assistance, a good history will be taken and you will be prepared for memory processing. Then the memory will be accessed and aligned in a certain way, while the information processing system of the brain is stimulated so the memory can be transformed into an adaptive learning experience. The negative emotions, physical sensations and beliefs can be discarded and a positive sense of self can emerge. If you feel stuck personally, or in your relationships, and the self-help techniques provided in Getting Past Your Past are not sufficient, then consider fully addressing the problem with EMDR therapy. Ultimately, the goal is to liberate you from the confines of the past into a happy and productive present and a fulfilling future.